Below you will find the download links for Version 3.0.2 of Stitchmastery. Stitchmastery will run in demonstration mode until activated. Note that your existing Version 1 / Version 2 Activation Key will NOT work in Version 3.0. Upgrading from Version 1 / 2 to Version 3.0 is free. See the Stitchmastery User Manual for details of how to download and install the software. Windows 64 bit version. Runs in demo mode until activated. Purchase a Stitchmastery 3.0 Activation Key in order to activate. macOS version. Runs in demo mode until activated. Purchase a Stitchmastery 3.0 Activation Key in order to activate. Linux 64 bit version. Requires 64 bit Java to be installed. Runs in demo mode until activated. Purchase a Stitchmastery 3.0 Activation Key in order to activate. For those running older machines, Stitchmastery 32 bit is available. Windows 32 bit version. Runs in demo mode until activated. Purchase a Stitchmastery 3.0 Activation Key in order to activate. 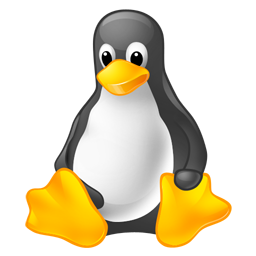 Linux 32 bit version. Requires 32 bit Java to be installed. Runs in demo mode until activated. Purchase a Stitchmastery 3.0 Activation Key in order to activate.